100% pure NY maple syrup by Bechard's Sugar House. 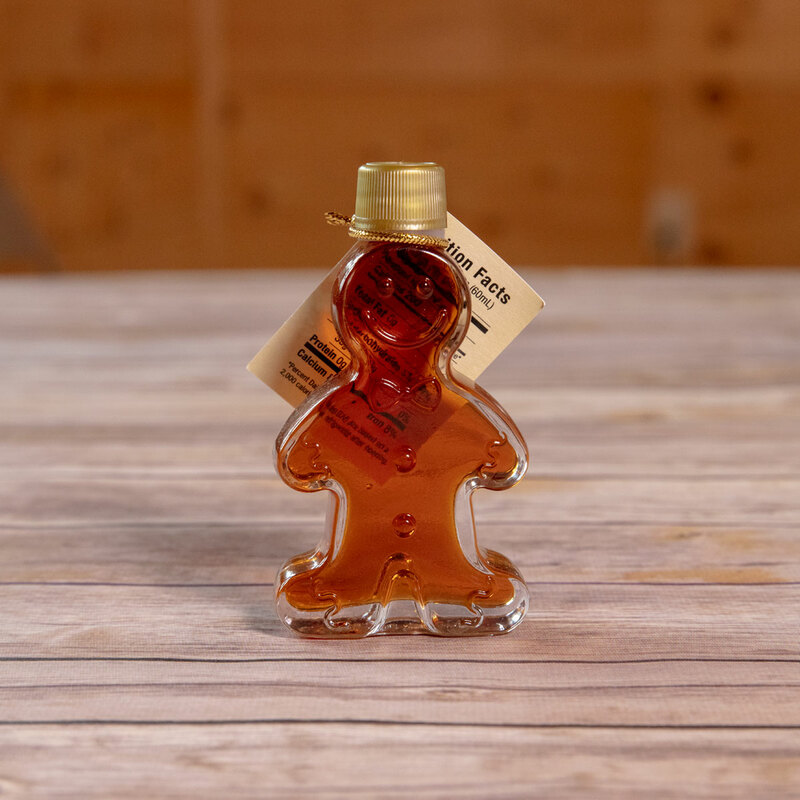 In a glass jar shaped like a Gingerbread Man. Select Size1.7 oz.3.4 oz.8.5 oz.